The Smoky Mountains and the Gatlinburg area are a spectacular place to spend a vacation, especially during winter magic. You may spend the Christmas and New Year’s holidays in Gatlinburg for all the exciting seasonal activities, or spend some quiet time at a hotel in the Smoky Mountains. 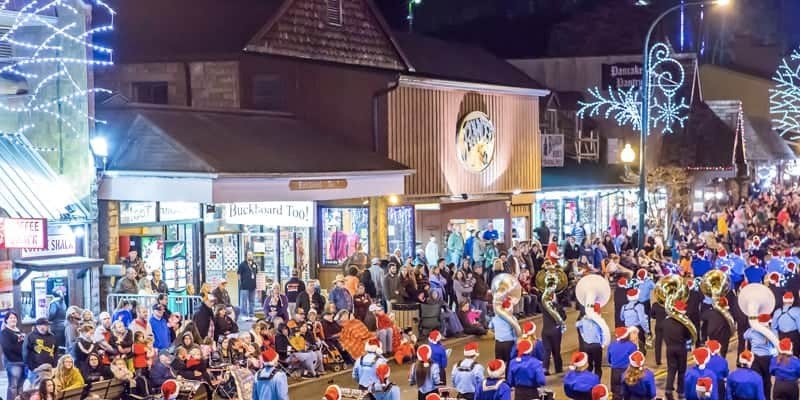 The holiday season officially starts in Gatlinburg in November when the city is transformed into a Winter Wonderland. The colorful display lights up the downtown area through February with millions of twinkling LED lights. The custom display of lights is reminiscent of a forest in winter. Rocking horses, snowmen, and lights that resemble native wildlife in the Smoky Mountains National Park are part of the Downtown Parkway display. Another way to enjoy the holiday light display is on the Gatlinburg Trolley. The trolley is enclosed and heated for the comfort of passengers. Three trips through the downtown area are scheduled every evening. The Gatlinburg Convention Center is the site of the annual Great Smoky Thanksgiving Arts & Crafts Show. The show features arts and crafts by the Gatlinburg Arts and Crafts Community. The show is the opportunity to see how original settlers to the area created pottery, baskets, hand stitched quilts, scented candles, apparel, and stuffed toys. Breathtaking mountain scenes painted by local artists and handcrafted jewelry are available for sale. The show is a great place to do your Christmas shopping, in an 8-mile loop around the city. The show takes place at the Arts and Crafts Loop on Route 321. This annual holiday event during winter magic benefits local charities. The event opens with the Candy Canes and Cocktails Reception. In addition to the elaborately decorated Christmas trees, visitors have the opportunity to purchase holiday centerpieces and craft items. The Fantasy of Lights Christmas Parade features bands, holiday floats, equestrian units, and huge, colorful balloons. Gatlinburg residents and visitors have been ringing in the New Year with a spectacular fireworks display for more than 25 years. At midnight, a choreographed fireworks show at the Space Needle starts off the New Year in style. Have dinner at one of Gatlinburg’s restaurants that offer specials for the holiday before heading out to see the fireworks. One of the unique things about Gatlinburg if you love outdoor sports, is Ober Gatlinburg, the only ski resort in the state. Mount Harrison can be accessed from downtown Gatlinburg with the tram that travels two miles to the summit. The mountain offers slopes for all skills, from beginner to advanced skiers. Ober Gatlinburg features a ski school with instructors who are certified so that the entire family can learn to ski. The resort is perfect for snowboarders and even has a park for snow tubing. If ice skating is your favorite winter activity, you can skate at Ober’s indoor ice rink, and it’s open all year-round. The ski resort has night skiing, and you can socialize with friends at the apres-ski lounge or dine at the restaurant after your day on the slopes. The Riverwalk delights visitors with 40 swans and a floral decorated archway on River Road. Children love the teddy bear lighting displays, and there’s fun and excitement for everyone in your family. The 24th annual event takes place in Gatlinburg, Pigeon Forge, and Sevierville. Local attractions including Dollywood, the most famous attraction in Pigeon Forge, and Ripley’s Aquarium feature festive, twinkling light displays and special events. Dollywood’s Smoky Mountain Christmas is one of the biggest events of the holiday season and runs from November 7th until January 3rd. The theme park is decorated with millions of colorful Christmas lights with activities including Dollywood’s “A Christmas Carol,” the Parade of Lights, Santa’s Workshop for the kids, and evening church services on Sundays at the Robert. F. Thomas Chapel, a charming, little country church. 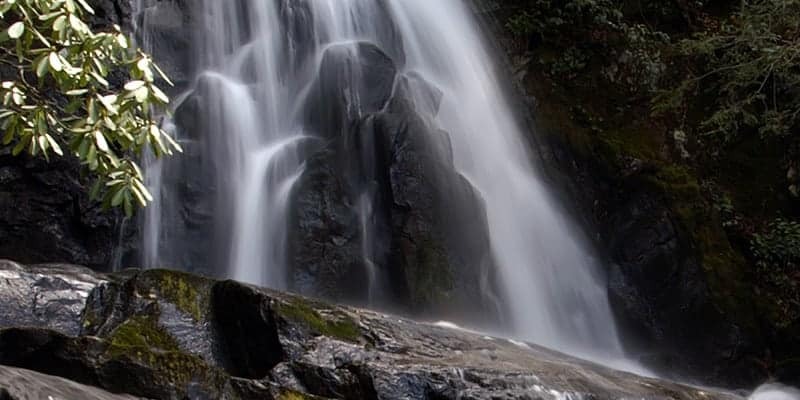 Gatlinburg has an array of accommodations that are affordable and comfortable. The best thing is the spectacular views of the Smoky Mountains. The area has a lot of hotels, luxury resorts, and rustic, mountain cabins and chalets. Larger cabins are available for large groups. A lot of the accommodations feature amenities including spas or Jacuzzis, concierge service, and restaurants. Gatlinburg has some great night spots to visit while you’re enjoying your mountain vacation, and restaurants feature everything from Southern-style dishes, ethnic food, and pub-style fare. You’ll find a variety of restaurants near accommodations in the downtown area. Whether you’re planning an intimate getaway, a vacation for the whole family, or want to spend the time skiing in the mountains, Gatlinburg is the place for a memorable winter vacation.